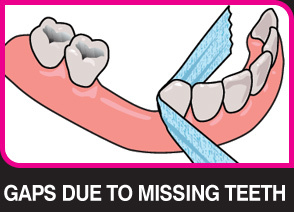 Extreme floss for large gaps! 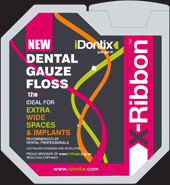 X-Ribbon® is a wide gauze floss ideal for flossing teeth next to extra wide spaces and implants. X-Ribbon® is Australian designed and now Chinese owned. Patients with the following conditions will find using X-Ribbon® perfect and easy for reaching those hard to get into places. 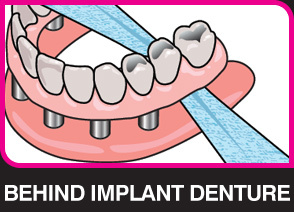 ● The broad strip of gauze makes for efficient quick and easy cleaning. ● The broad strip allows for good grip. 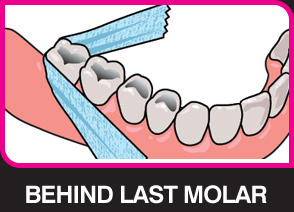 ● The coarse texture of the gauze grabs the plaque for effective cleaning. ● X-Ribbon® is Australian designed and owned. Patent AU 2010241452. 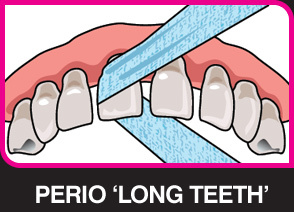 For a demonstration of how to use X-Ribbon®, watch these YouTube videos!